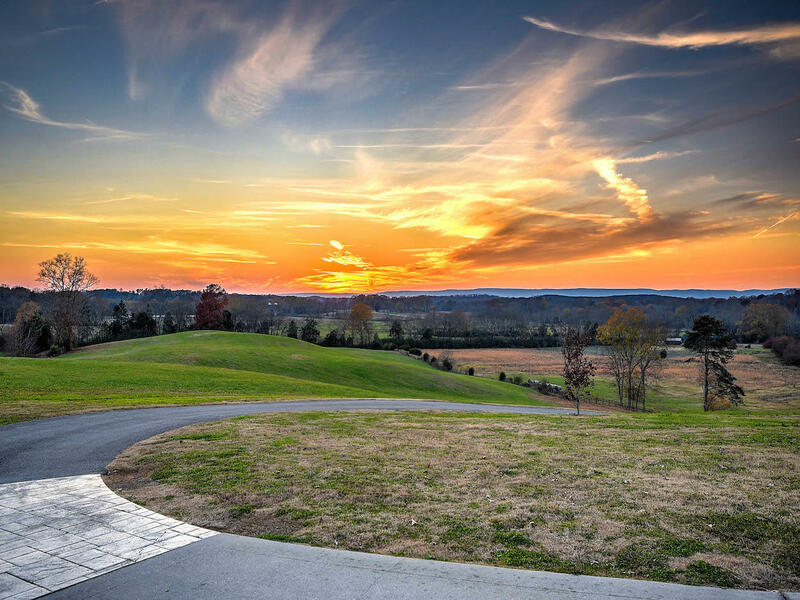 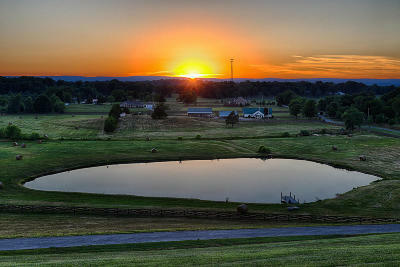 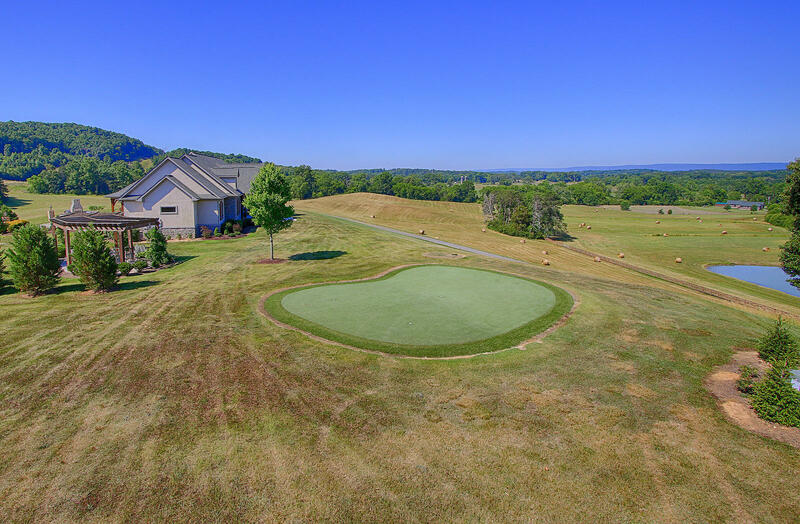 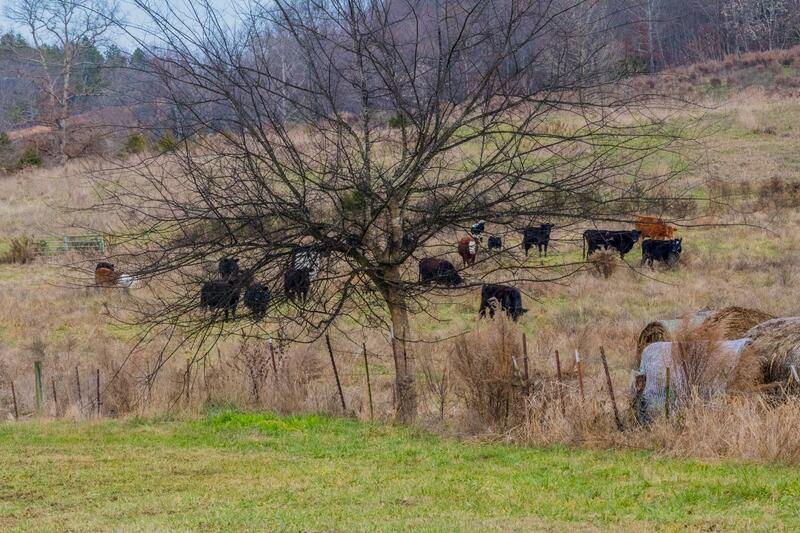 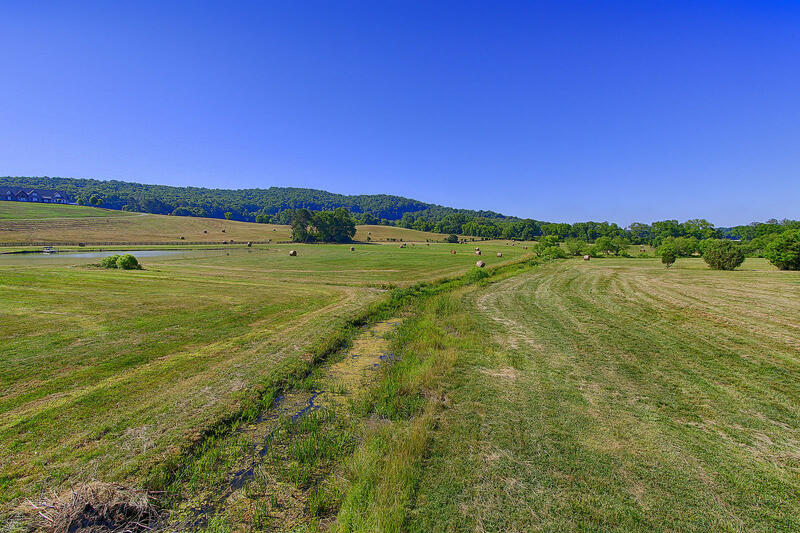 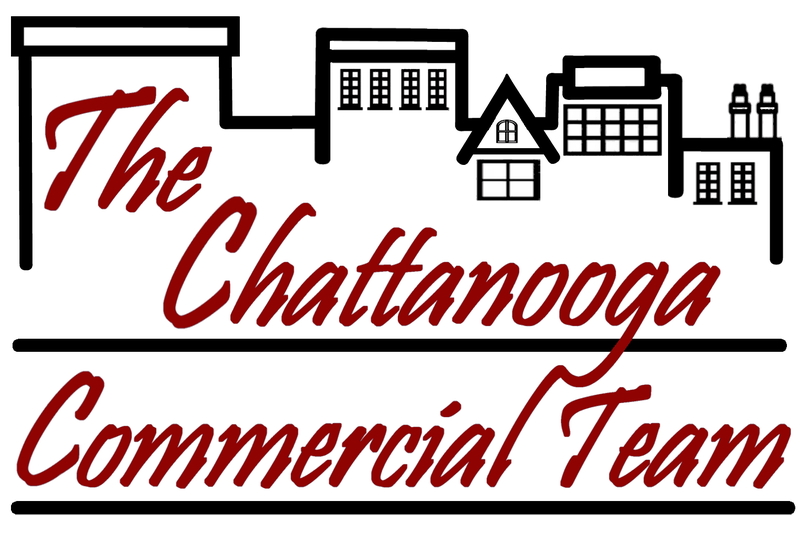 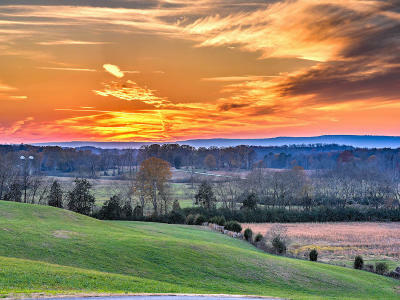 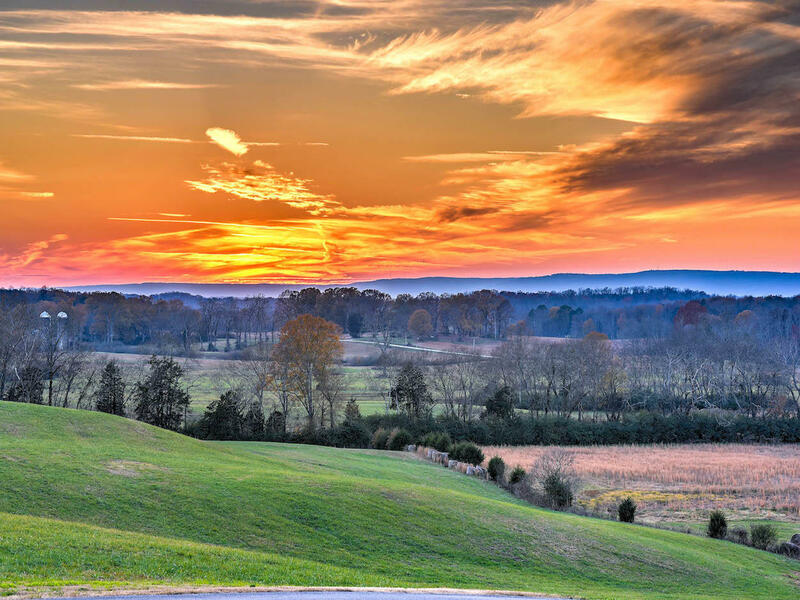 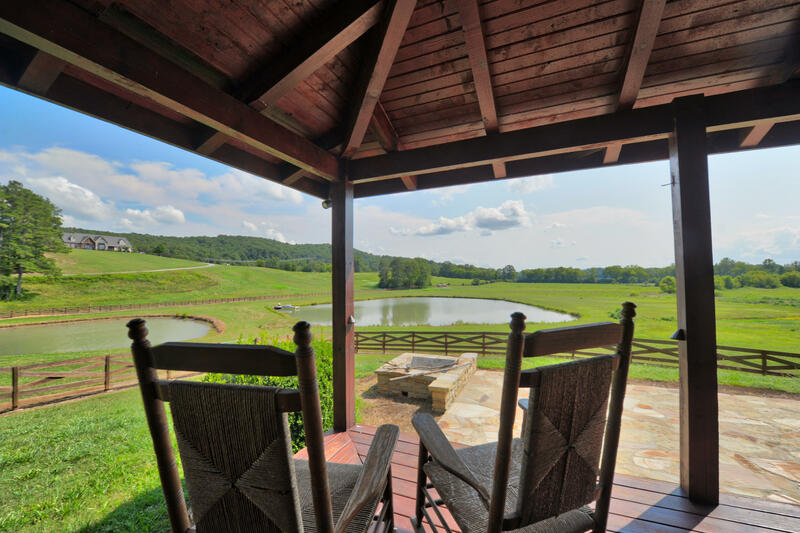 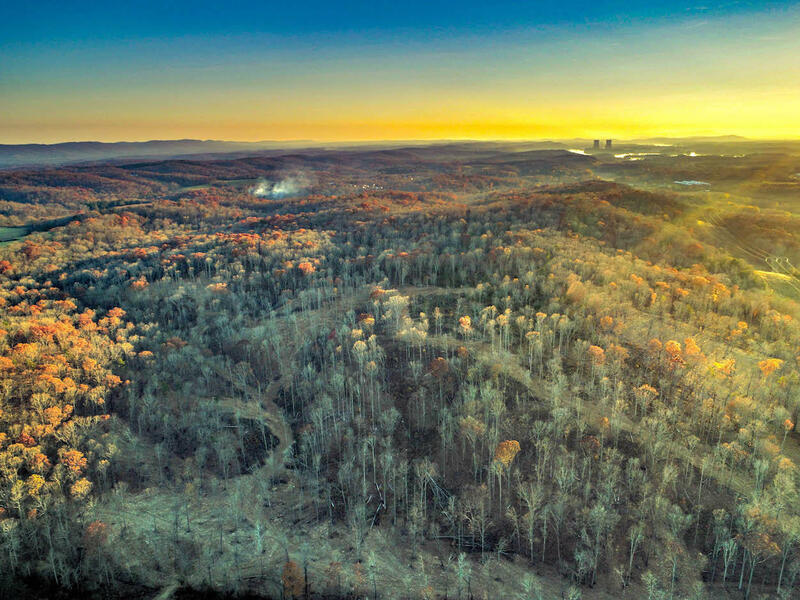 Seven Lakes Ranch is privately set amidst 412 prime acres on some of Greater Chattanooga's richest countryside. 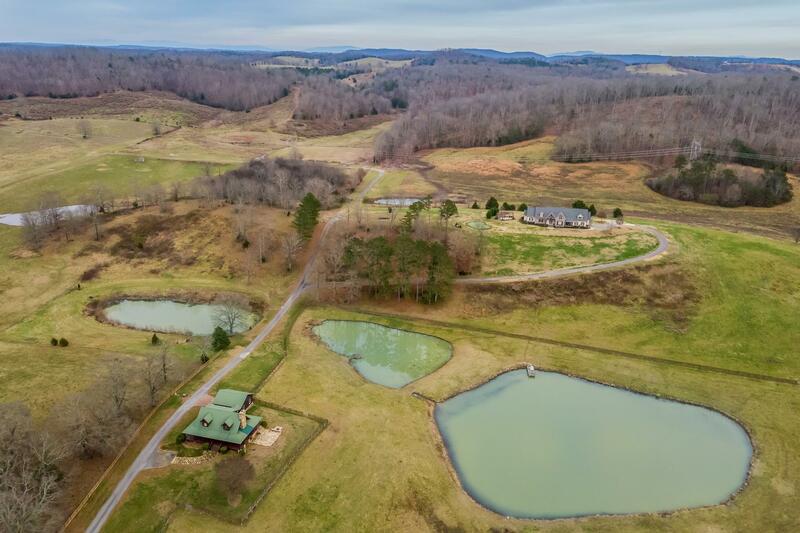 Protected by conservancy and crowned with gently rolling acres, stacked stone walls, lush pastures, hardwoods, abundant wildlife and seven spring fed ponds that all contribute to the significance of this county estate. From the custom iron gated entrance to a long, winding path with miles of wooden rail fencing lies a luxurious home of distinct character with Old World warmth and timeless appeal. 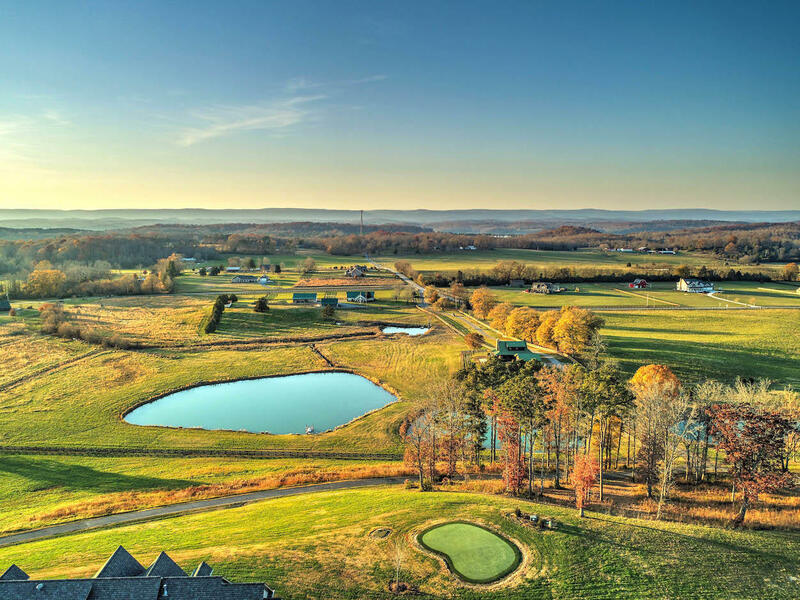 Majestic views of the endless countryside from atop the breathtaking ridge allow ;you to escape from the rush of everyday life and connect with the peaceful surroundings. 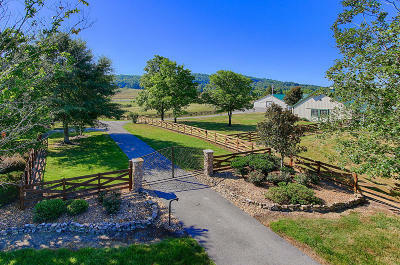 For the equestrian lover, farmer, outdoorsman, whatever your passion, it can be found here. Inside the main residence are dramatic twelve foot beamed ceilings, gleaming hardwoods, detailed molding and gracious living areas ideally situated for entertaining. 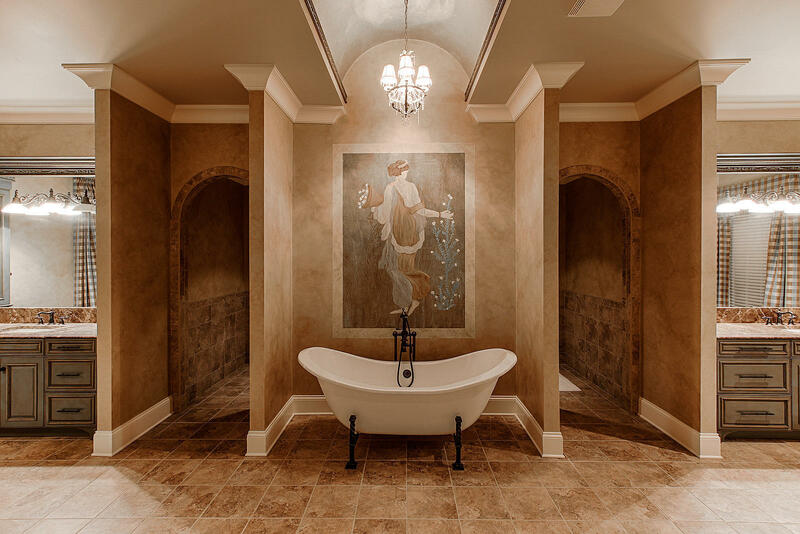 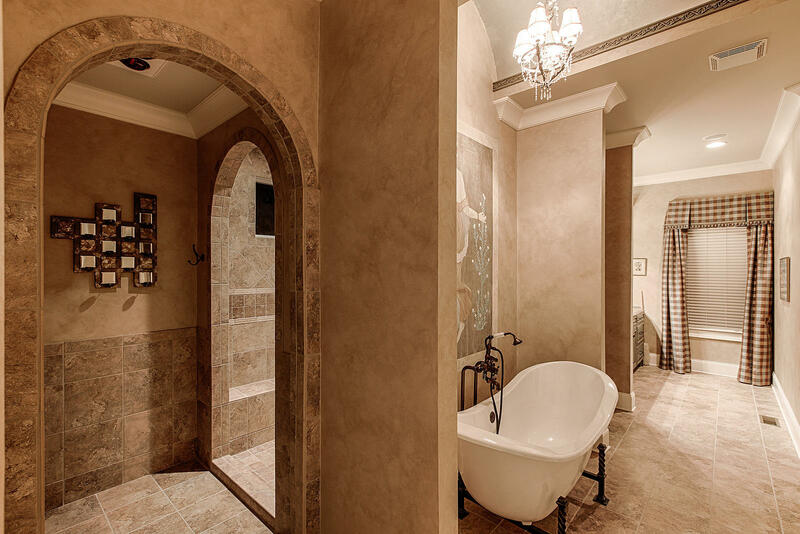 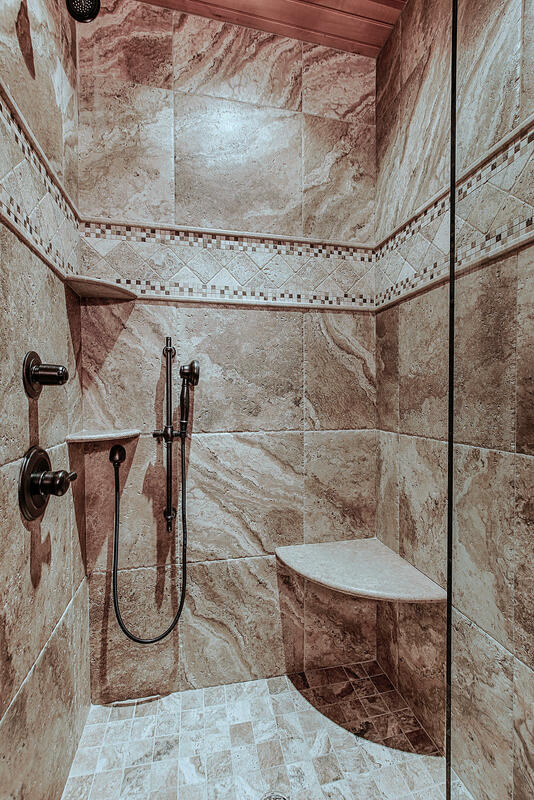 The spa-like Master Retreat offers a private home gym, over sized European travertine shower with bench seating and heat lamps along with an inviting soaking tub. The main level master and guest suites allow you to experience the outside from within, with private entrances and exquisite views. 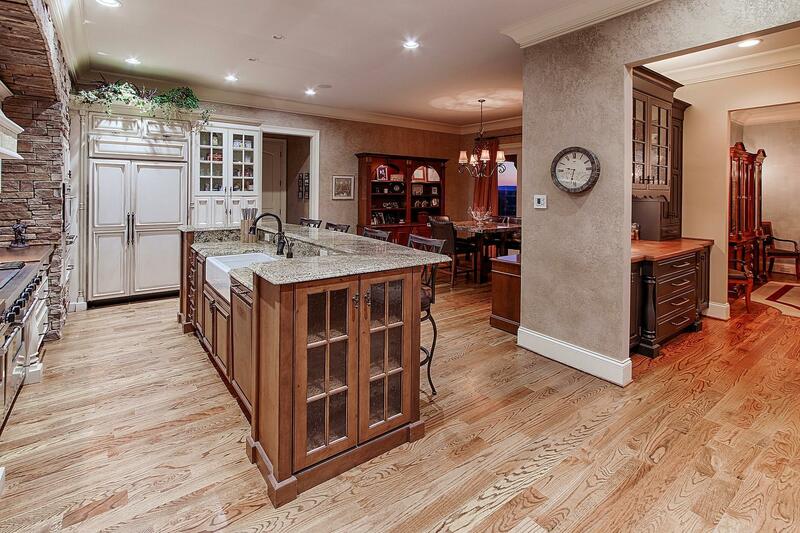 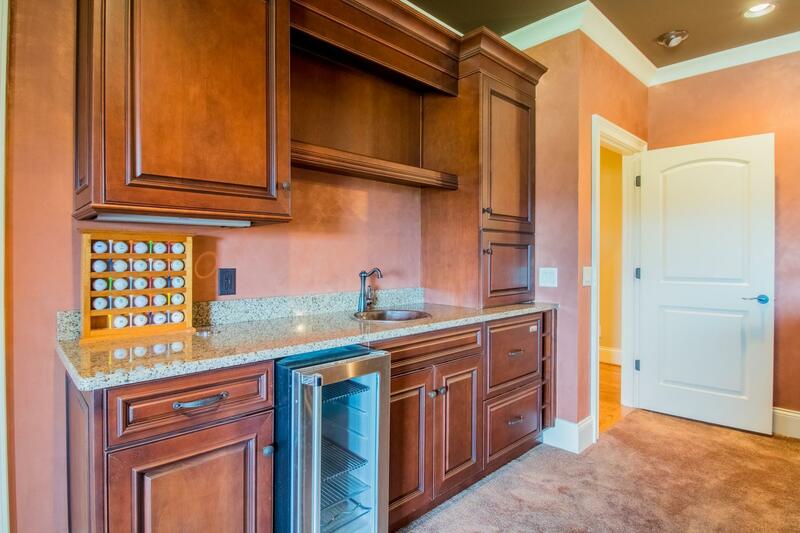 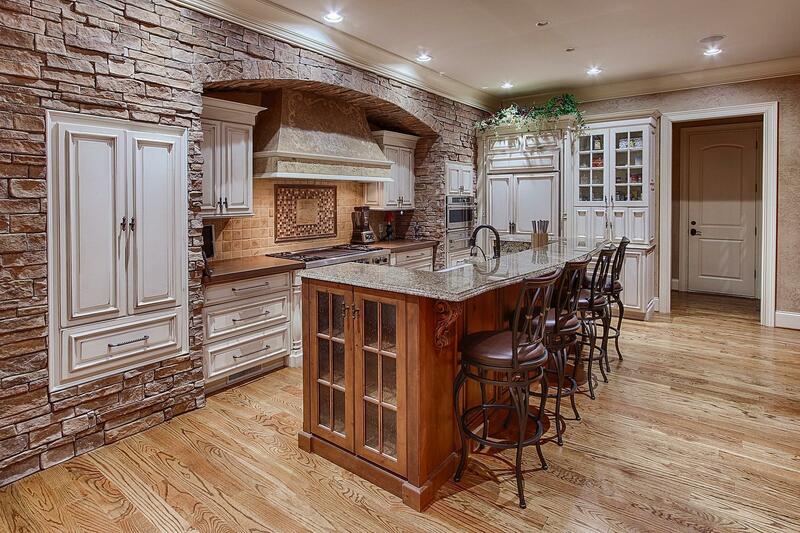 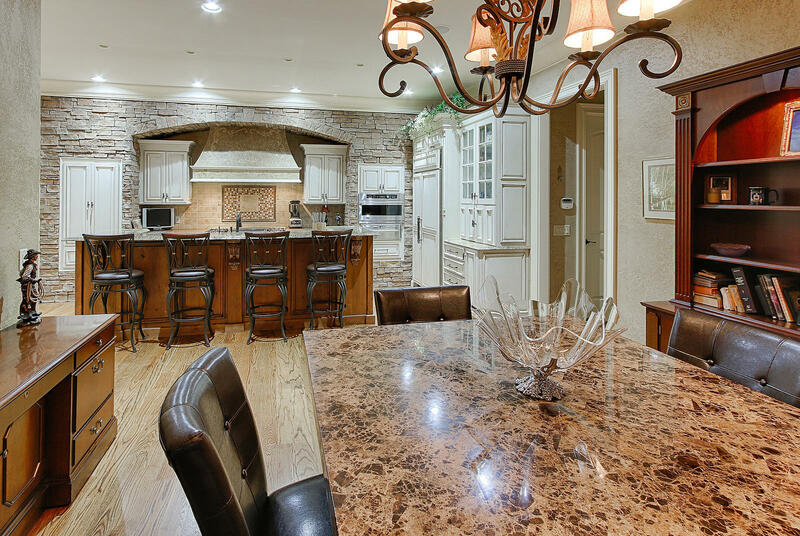 A professionally designed kitchen offers functionality with upscale custom cabinetry and only the most luxurious appliances including a 60" Pro Viking gas range, warming drawer, and Sub Zero refrigeration. 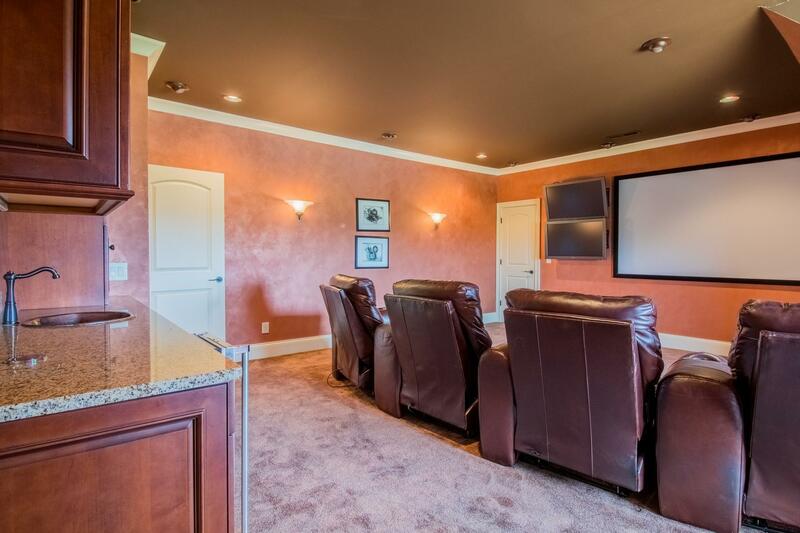 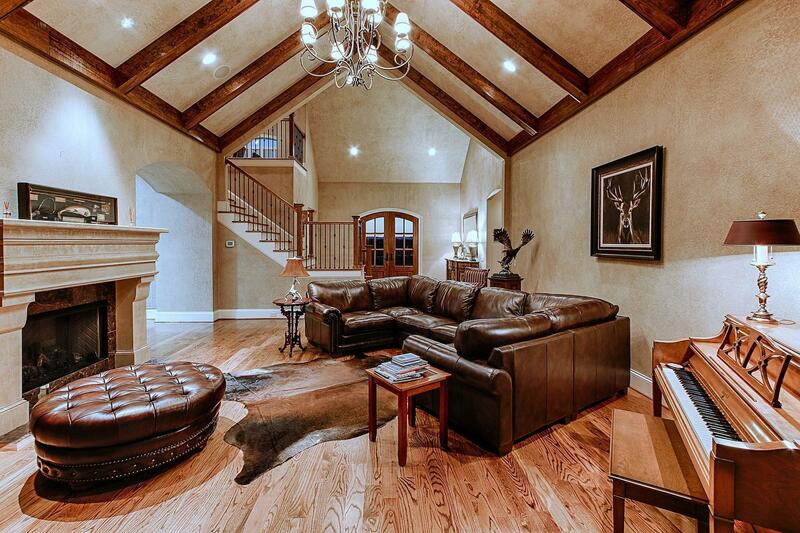 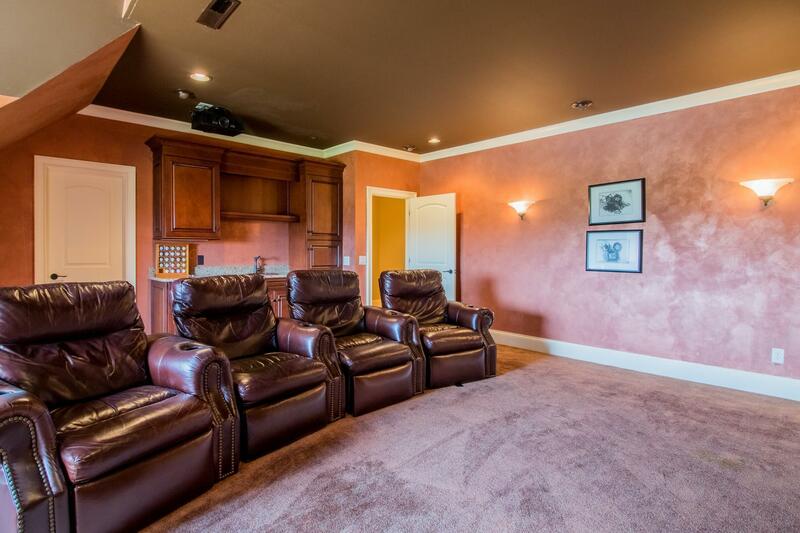 The upper level is complete with four ensuite bedrooms and a state of the art media room. 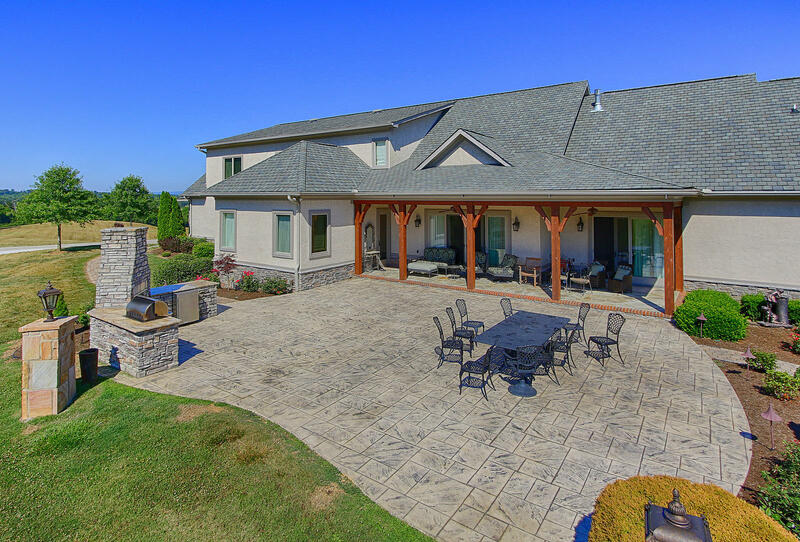 Extending to the outdoor entertaining spaces are stunning covered porches, flagstone patios, an outdoor grilling kitchen and your own private putting green. 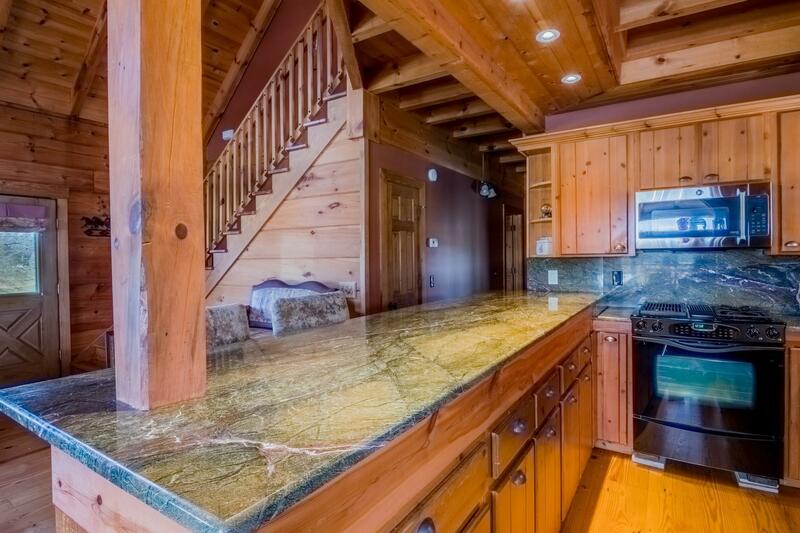 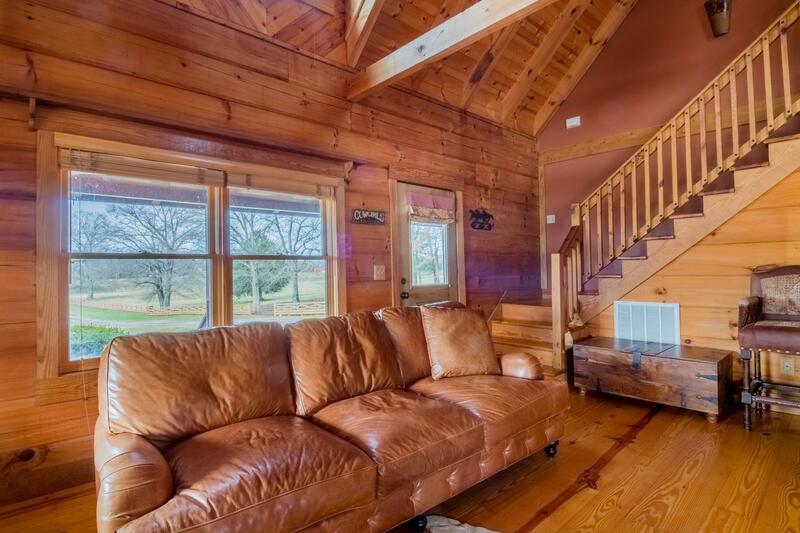 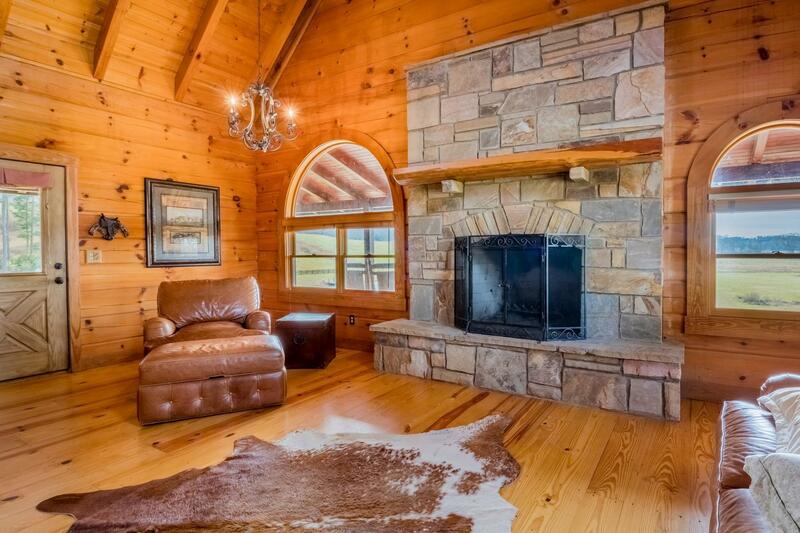 In addition to the main residence a private log cabin retreat affords rustic elegance for extended family or guests. 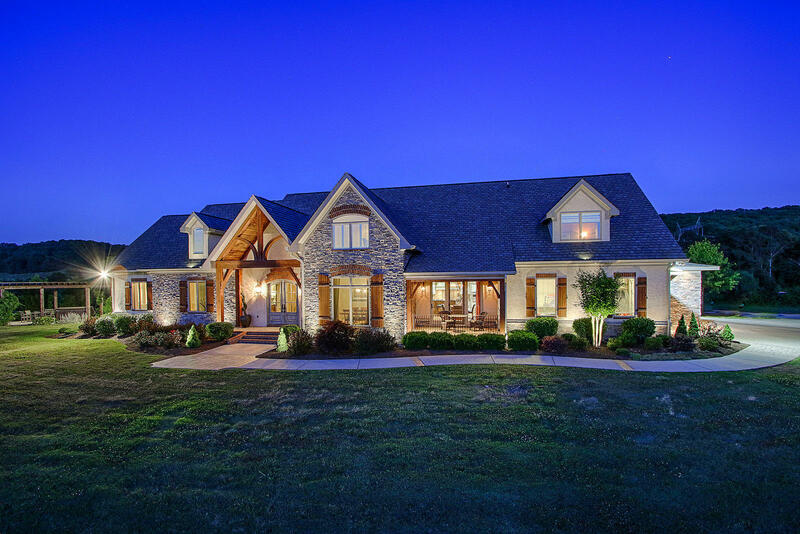 Vaulted ceilings, rare granite counter tops and a wrap-around porch just steps from a stocked pond all contribute to the solitude and picturesque setting. 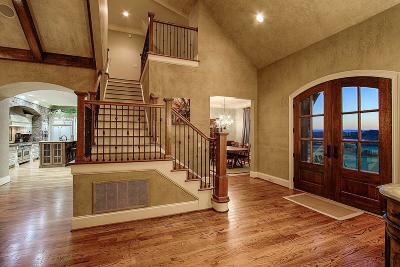 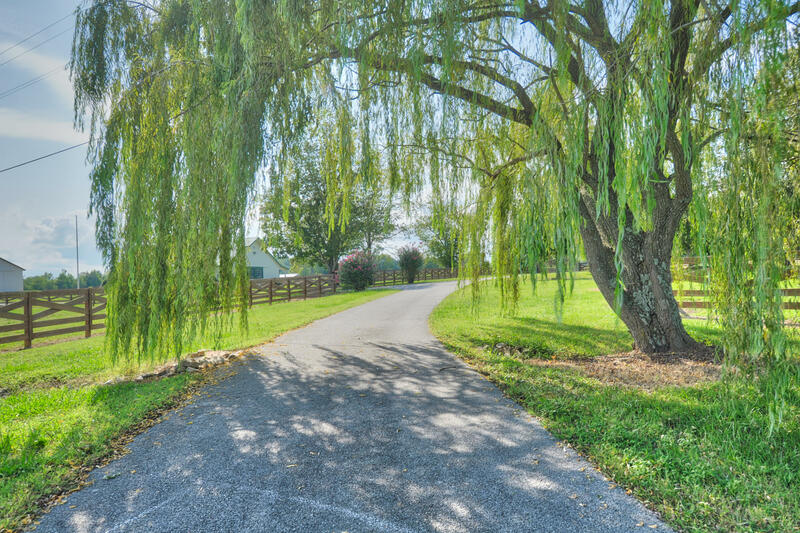 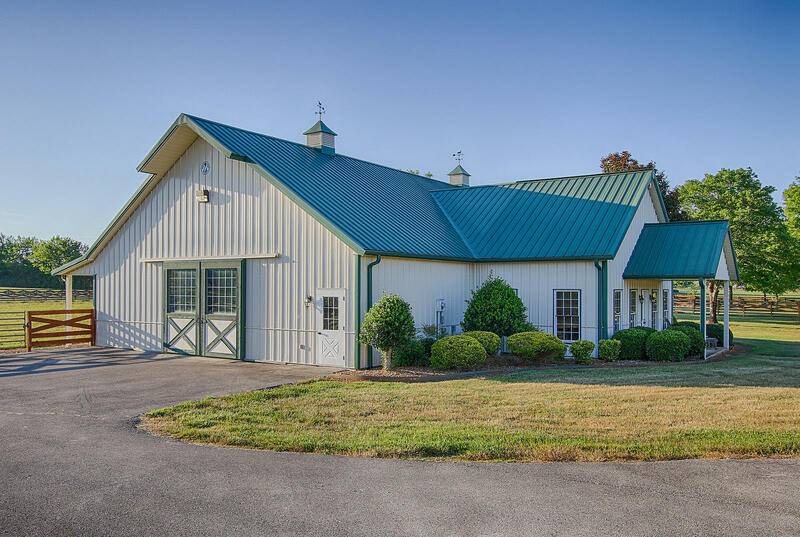 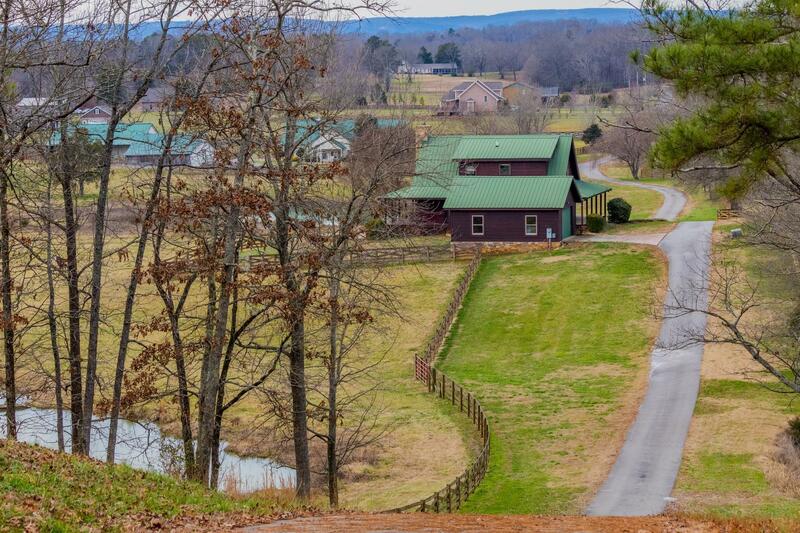 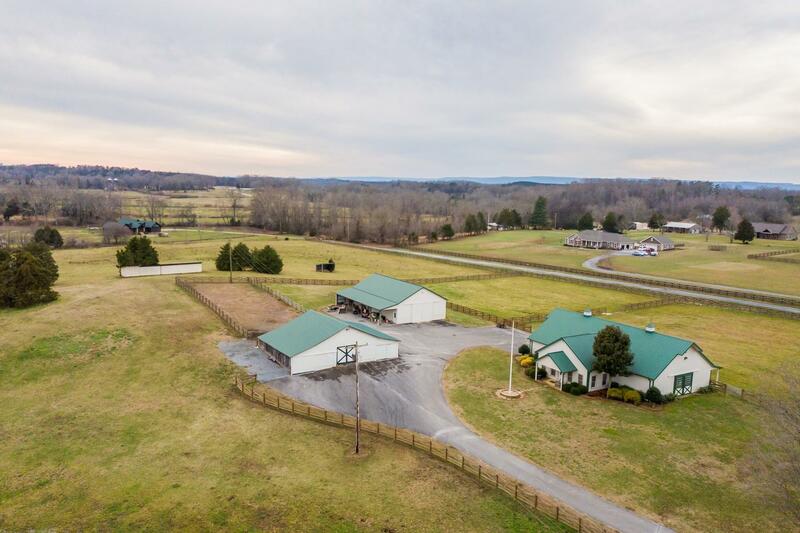 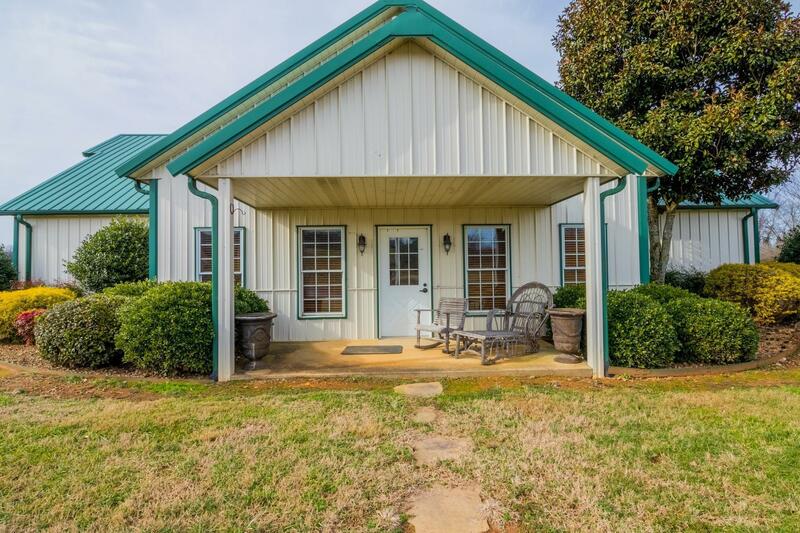 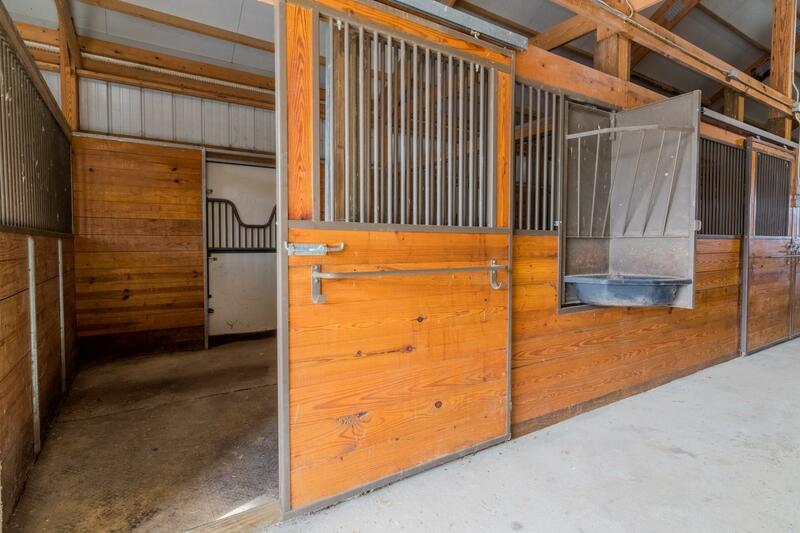 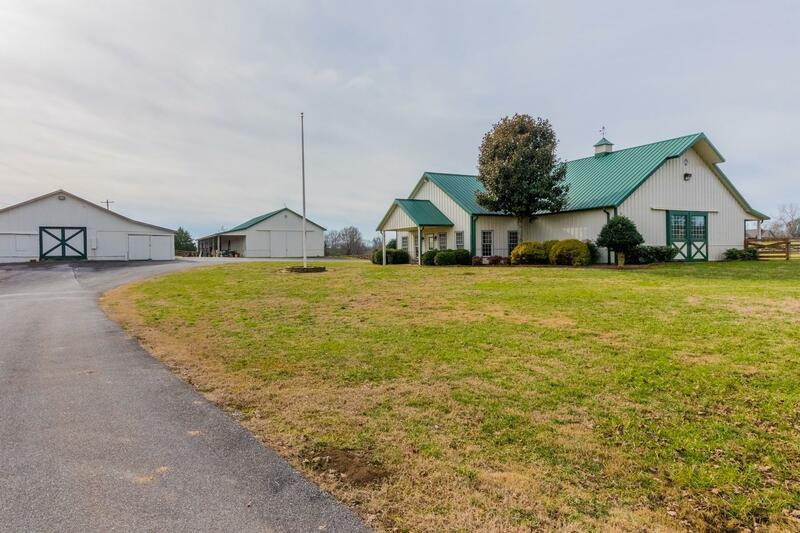 One of the finest horse barns designed with six stalls, full tack room and complete with caretaker or guest lodging can also be found on the property. 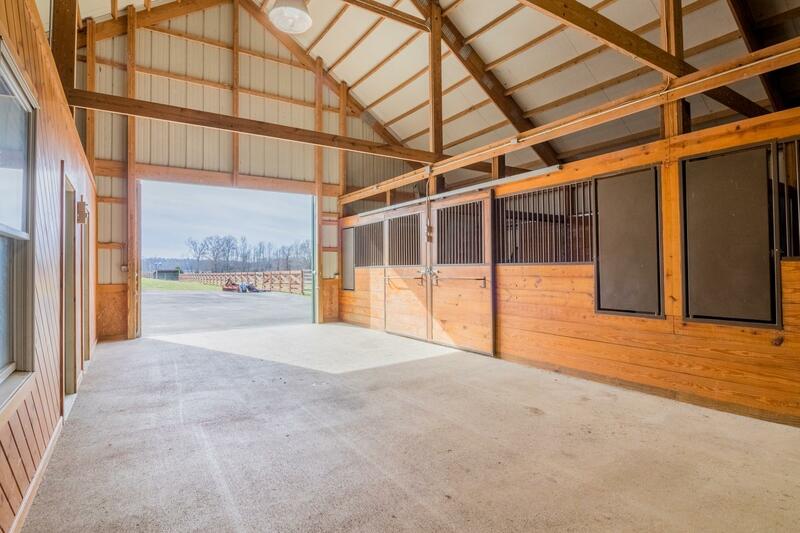 The 60'x30' heated and cooled Morton barn provides abundant storage for farming equipment and all classes of recreational vehicles. 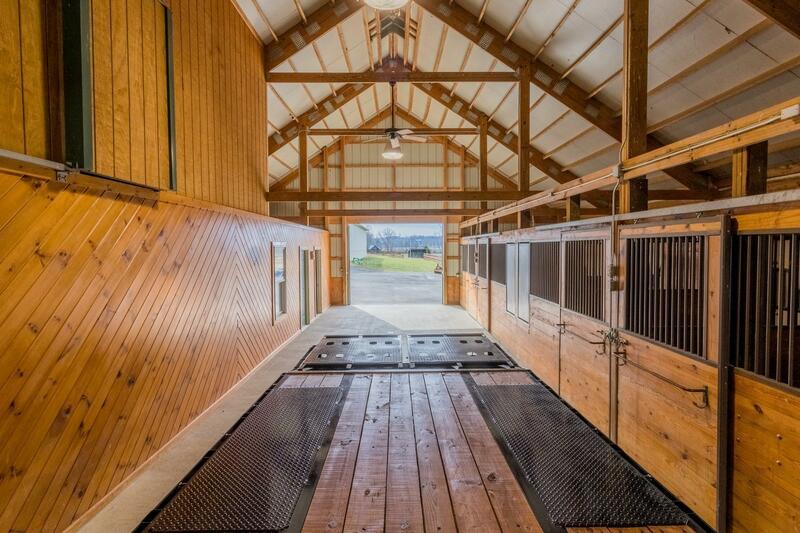 In addition there is a 2200 sq. 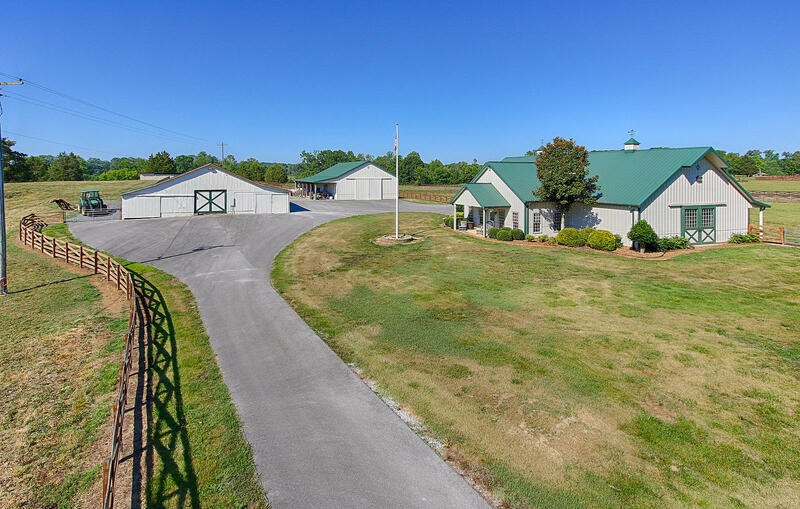 ft. equipment storage barn. 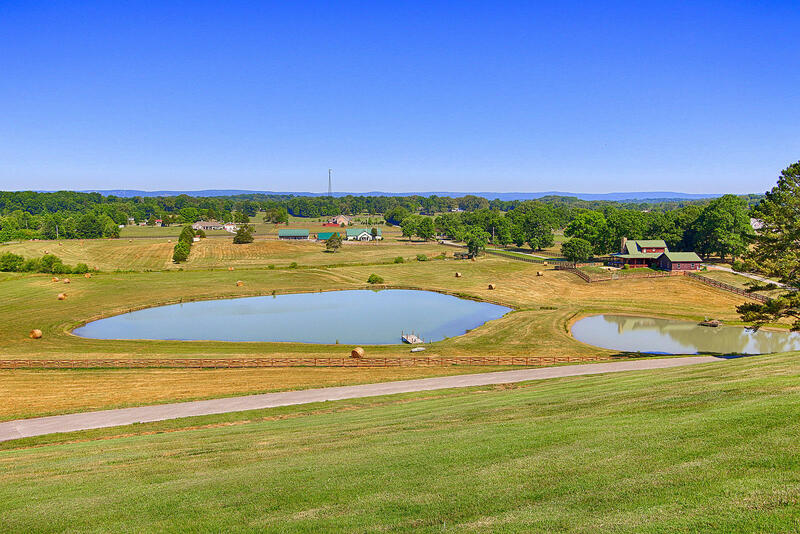 A fresh water spring reaching depths of 20 plus feet provides water for the seven ponds and supplies water for the horses, cattle and irrigation system. 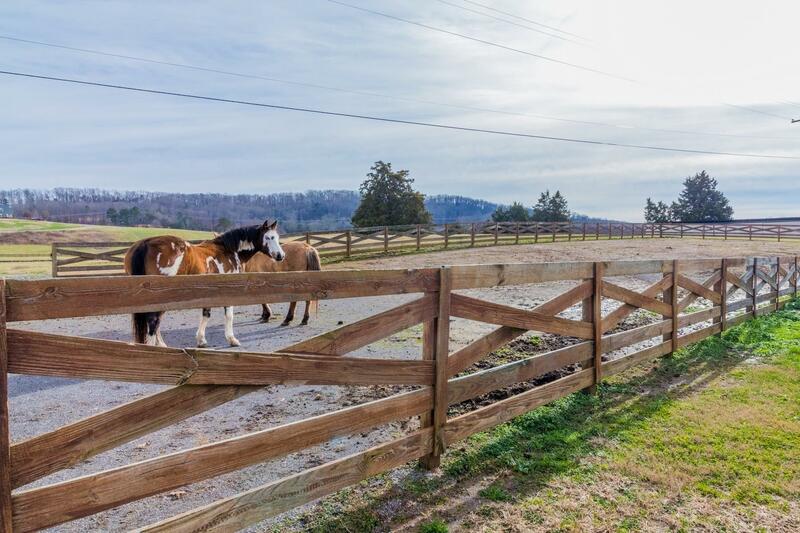 Miles of riding trails for horseback riding, hiking, ATV's, hunting or just a well-deserved tranquil stroll. 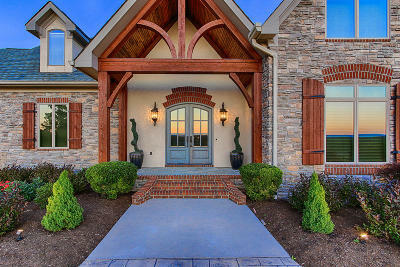 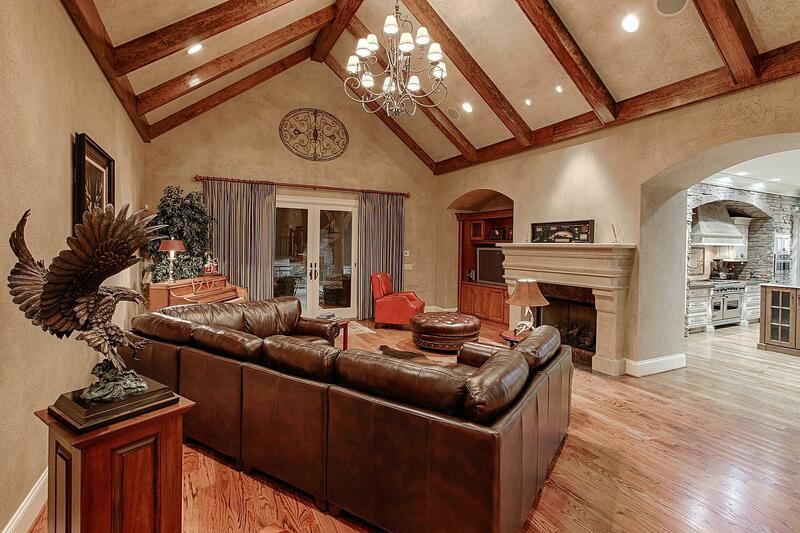 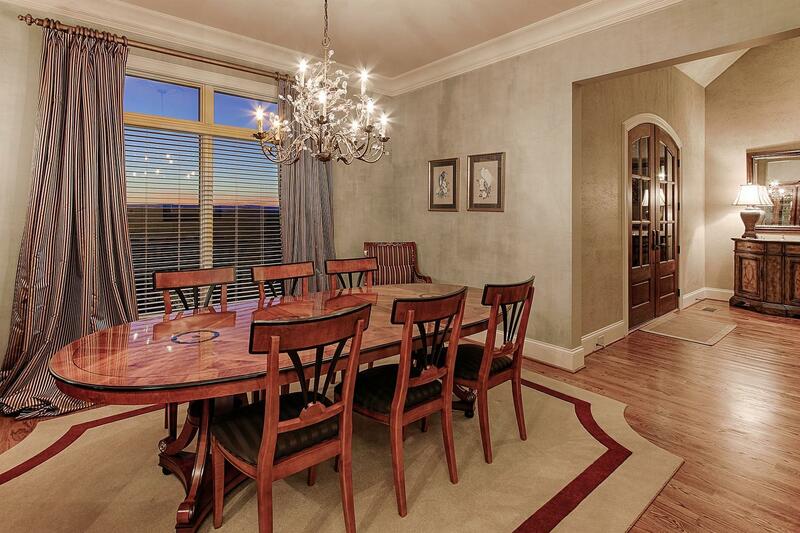 For the discerning buyer there is limitless investment potential. 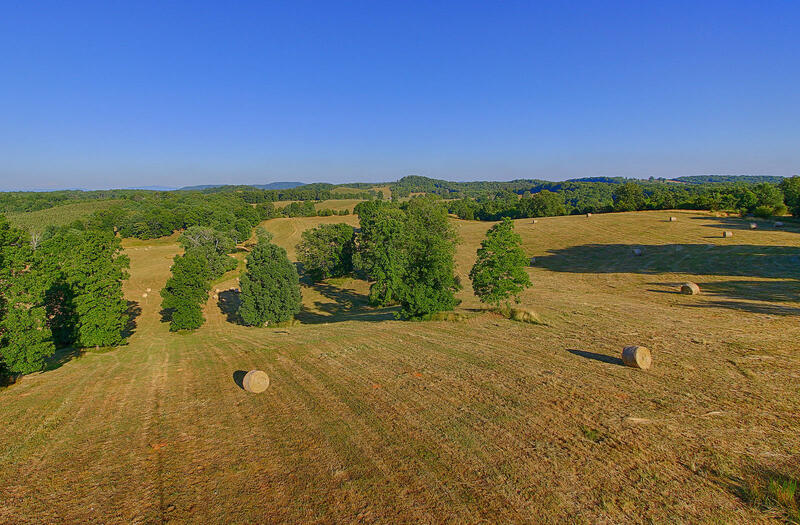 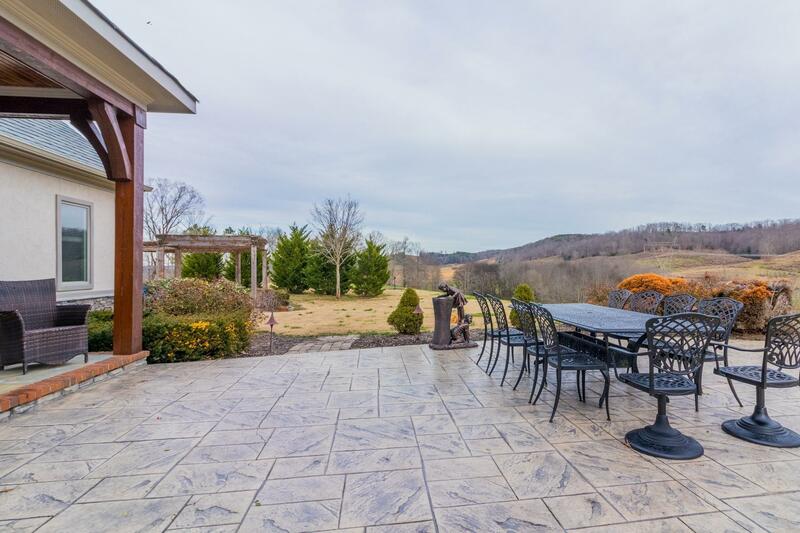 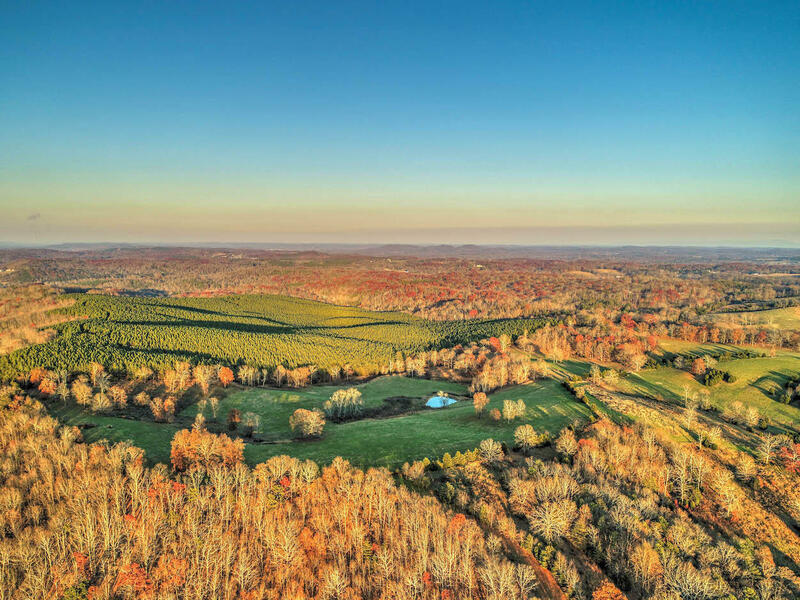 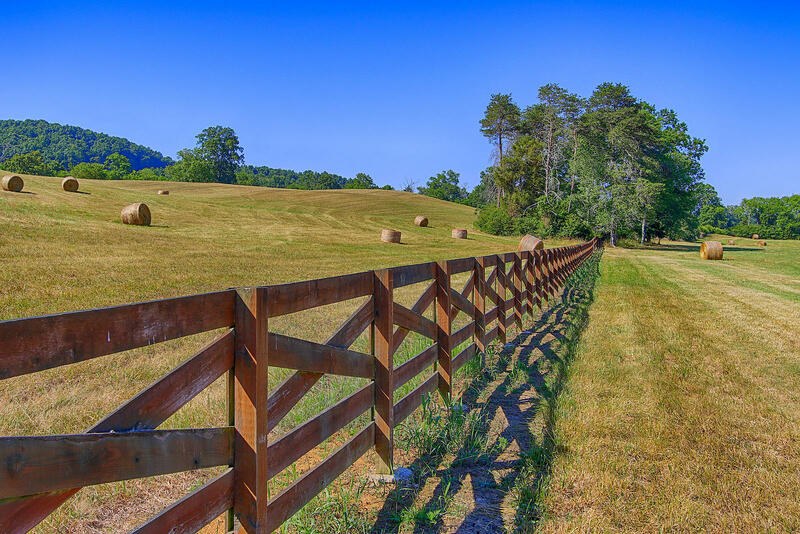 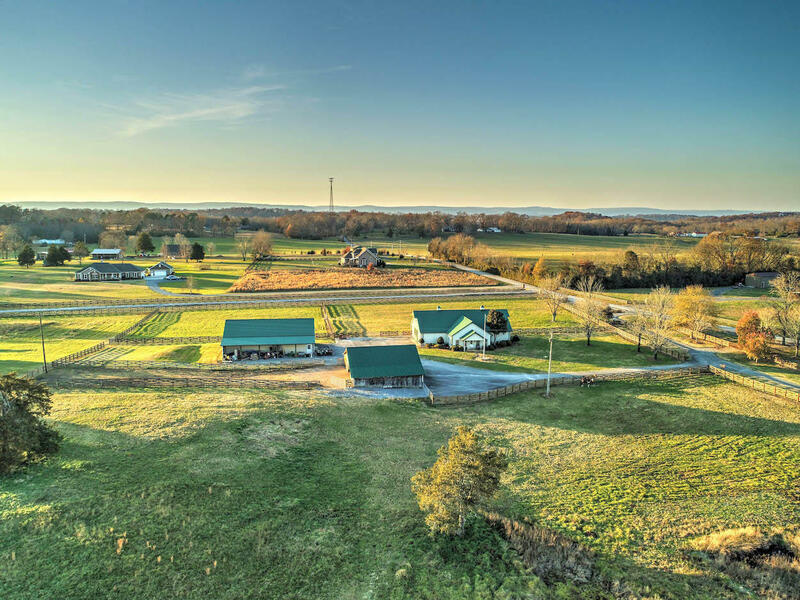 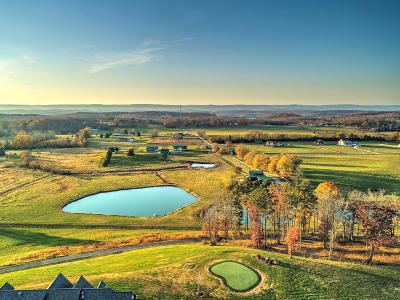 For the private development entrepreneur the breathtaking ridge views of the endless countryside provide opportunities to subdivide into large acre equestrian tracts or an upscale residential community. 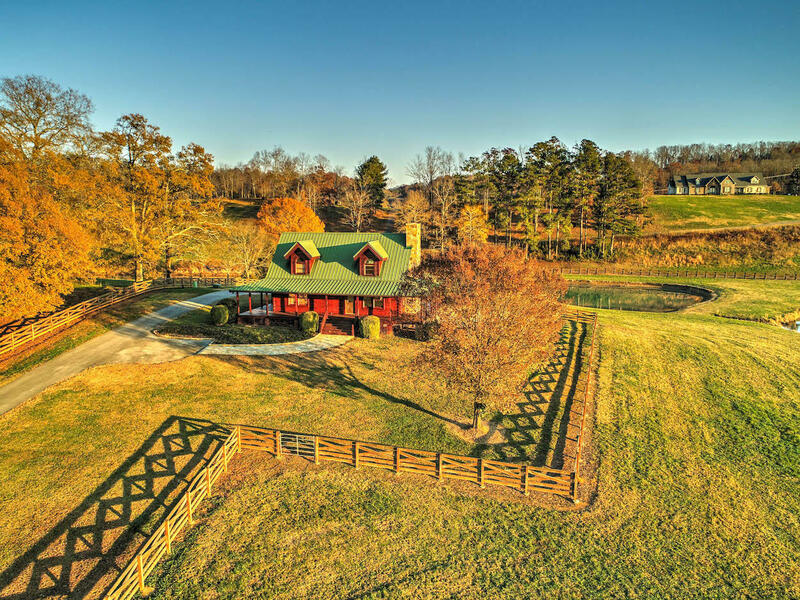 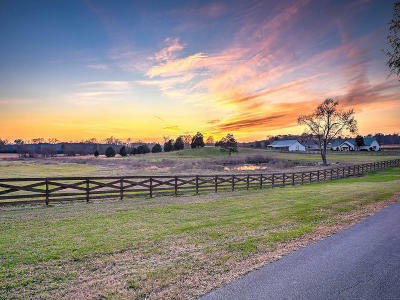 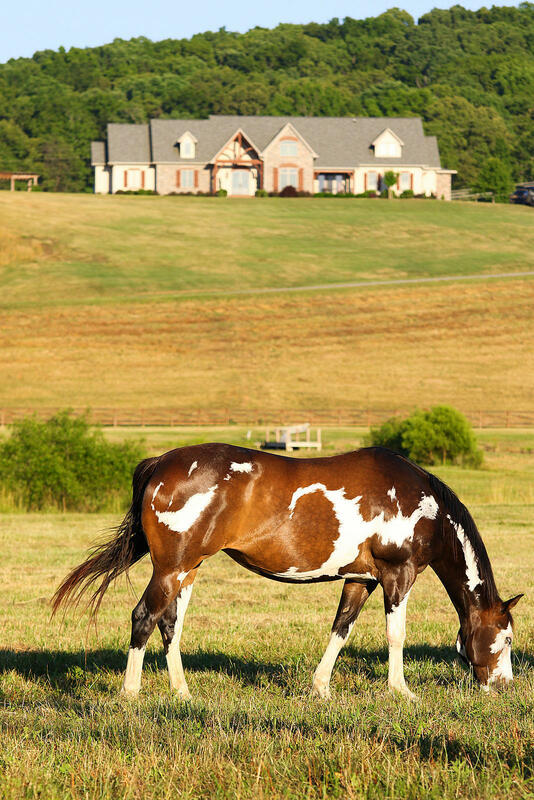 Whether a Luxury Equestrian Estate, Working Cattle Farm, Bed & Breakfast, Corporate Retreat or Wedding/Event venue, wherever your imagination takes you...Seven Lakes Ranch affords True Southern Living providing a feeling of home in the South.